Butch’s Place is now available on iTunes, Google Play, Amazon, Spotify and pretty much every other online music store or streaming service. Get your copy today! I recently did some work with the producer Headsnack on some music for the Eventide Mixing Link. Check out the spot below and at Headsnack’s YouTube channel. While you’re at it, check out the Mixing Link too, it’s a pretty slick piece of kit. Welcome to Primo-Sol.com. Primo Sol is the creative outlet for the New Jersey based guitar player, singer, composer and producer George Senger. In efforts to separate his other endeavors from his solo musical journeys, George works under the name Primo Sol. This project has been a long time in the making. Through this project and website, I plan to release all my musical work, or at least as much as I can. Earlier this year I was going though my archives and realized I have a multitude of songs written, but never recorded, or have been recorded, but the quality is terrible. Because of this, I don’t have much of a catalog to look back at as an example of what I have accomplished as a musician. My plan is to sort through all of this material and finish what hasn’t been finished, update what needs updating and write new material, as well. I plan on recording all this material and publishing it here on primo-sol.com and various other outlets such as Soundcloud, CD Baby and iTunes. My released catalog of songs will be available on the Music page here. With that being said, here is my first release of original material for the site, Butch’s Place. Butch’s Place is a bluesy, rock ballad about a humble, ramshackle roadhouse where the music lives. 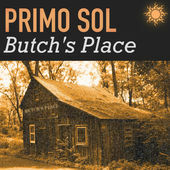 Inspired by “Butch’s Place,” which was discovered on a journey to the south in a more innocent age sometime ago and had never been recorded for various reasons. I finally found the time to arrange and perform it the way I always heard it in my head. The song also features Sarah Schoen on the female, lead vocal part.